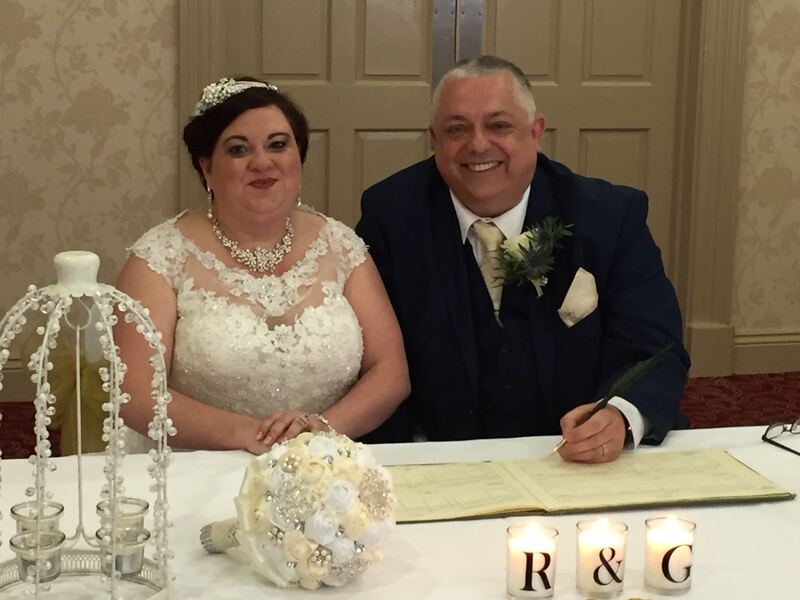 Business Development and Marketing Executive Gillian McLaughlin who got married last month. Congratulations to our new Business Development and Marketing Executive Gillian McLaughlin who got married last month. Gillian and her new Husband Rob got married at Hallgarth Manor in Durham on 28th May. Gillian and Rob met while working for a local signage company and got engaged in June last year. It was a joining of two halves as Rob is a dedicated season ticket holder for Newcastle United, while Gillian was born and bred in Sunderland. Gillian’s family travelled from Greenock and Glasgow to join them in the celebration along with many friends and family from Newcastle. Sadly Rob’s son George was on his way around the Mediterranean Sea as he is training with Cunard who also own the P&O and Carnival Cruise liners to be a Navigational Officer and is currently somewhere in Norway on the Britannia. They then flew out to Paphos in Cyprus for their Honeymoon and are already planning their wedding anniversary trip to Rome.